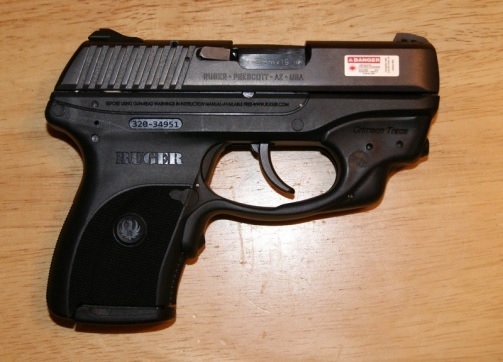 The LC9 is a sub-compact, 9mm semi-automatic handgun made by Ruger. It has a 7-round single stack magazine and has a very low profile. Many people prefer to carry a sub-compact as opposed to full-sized weapons because of the smaller footprint. This gun comes with 1 magazine, a soft case and a takedown tool. 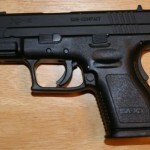 In my opinion this is a very good handgun for concealed carry. 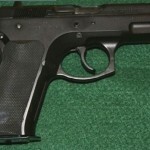 It is compact, lightweight and has enough stopping power. As far as reliability, I have never had any failure to fire/failures to feed. It just feels good in your hands. As far as shortcomings, this gun is not perfect. 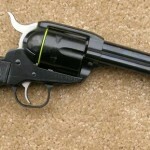 The trigger pull can be considered “lengthy.” That is, you have a long way to pull the trigger back until the gun fires. You really have to practice with this gun to get used to it. I have read about having trigger work done on this gun, and people have said that it makes all the difference in the world. The next downside is the gun only holds 7 rounds. While I am willing to give up capacity for a smaller size, I would hate to be in a situation where I needed more than 7 rounds. Also, you need a tool to clean the gun. You do not need the exact tool that comes with it; you can usually use something like a pen tip or paper clip to take apart the gun. It is not a big deal, but I do not like the fact that I need something extra to take it apart to clean. 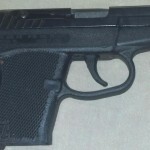 The particular LC9 in this photo is decked out with a Crimson Trace Laser Sight. This gun retails for around $350 and the laser sight around $150. 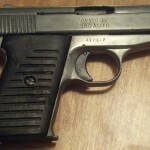 In summary, the good points of the LC9: small, decent stopping power/standard 9mm caliber, reliable. 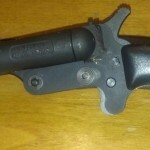 Bad: you need a tool to take it apart, trigger pull is lengthy, it only holds 7 rounds. I have one and the thing I hate about it beside the trigger squeez is that the front site is off. My laser is dead on but the front site cant be moved so I can’t even use the regular sites. Has anyone else had this issue? Front site does move but is very hard to do. also the rear sight is adjustable – will need a small Allen wrench to loosen it – not sure of the size. bought this for my wife about 3 years ago so I don’t know if anything has changed on newer models. Also it is the non laser model. Wonderful gun I use it more than her. fits perfect in my front pocket.